Through the poetic lyrics of over 200 holehole bushi (Japanese folksongs), Franklin Odo (Founding Director, Smithsonian Institution’s Asian Pacific American Program) traces the experiences of Japanese immigrant plantation sugar workers during the late 19th and early 20th centuries in his new book Voices from the Canefields: Folksongs from Japanese Immigrant Workers in Hawai‘i. Wednesday, January 22 will be a night of celebration as we join NYU’s Asian/Pacific/American Institute in marking the publication of Dr. Odo’s latest book with a selection of readings, song, and film. Where: A/P/A Institute at NYU This event takes place in New York City. Co-sponsored by the Japanese American Association of New York, Japanese American National Museum, and Hālāwai. JANM will be in your neighborhood (well, on Oahu) this coming Saturday, October 26 from 4 to 6 p.m. for a Member & Donor Appreciation Reception. This event is FREE—our Board of Trustees and Board of Governors are hosting this event in order to meet our supporters who live in Hawaii. Appetizers will be served, along with hosted parking, and a hosted bar. We are grateful for your support, and we welcome this opportunity to greet members of our JANM family. If you haven’t already RSVP’d, it’s not too late! Just let us know by emailing memberevents@janm.org or calling Alison Wong at 213.830.5657. Acclaimed Japanese American pianist, and winner of the Van Cliburn competition, Jon Nakamatsu will be performing at The Colburn School on Sunday, September 29th at 3:00pm in Zipper Hall. He will be presenting a program of Haydn’s Trio in E major, Kodaly’s Duo for Violin and Cello, and Mendelssohn’s Trio No.1 in D minor with Colburn’s two newest faculty appointees, and former members of the Tokyo String Quartet, Martin Beaver and Clive Greensmith. Jon was honored at JANM’s Annual Dinner back in 1997, the year that he surprised everyone to win the Van Cliburn. JANM Members and friends: click on this link to get your free tickets: http://www.eventbrite.com/event/6036905547?discount=JANM. Or call 213.621.1050 and mention this offer! It will be a wonderful night of music. 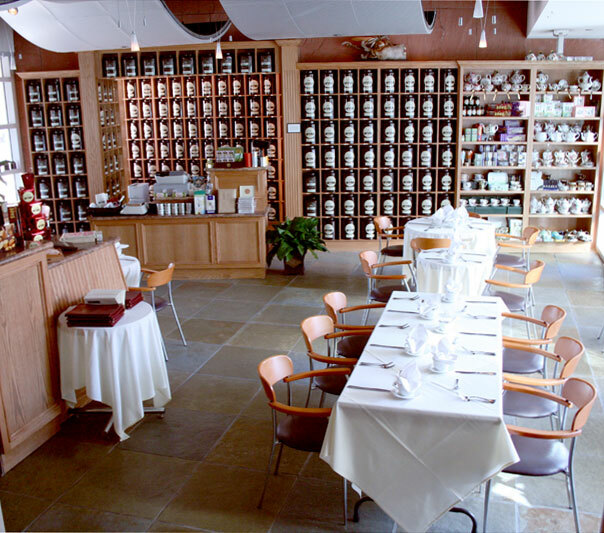 When is the last time that you stopped by for lunch or a little afternoon pick-me-up in the Chado Tea Room? Dubbed “Best Museum Café” by Los Angeles Magazine (August 2013), Chado is a hidden gem here at JANM. Los Angeles Magazine recommends the smoked-tea egg salad and the warm scones, but you can’t go wrong with the Waldorf or St. Pierre salads. At just $8 – $11 for a salad, you can’t find a better place for a bit of elegance and civility in the middle of your day. Perhaps you haven’t been here since your friend’s shower or birthday party? If it was outside on the garden patio and your group shared freshly brewed tea (there’s 300 varieties from which to choose), cakes, and tea sandwiches, then it was sure to have been an afternoon to remember. Come drop by Tuesday – Sunday, 11 a.m. – 6 p.m. for that light lunch or perfect cup of tea. Couple it with a long or quick visit to JANM and nourish both your body and soul. If you’re a current member, make sure to show your JANM membership card for a 10% discount! If you are looking to make a day of it and immerse yourself in tea culture, be sure to attend the upcoming Los Angeles International Tea Festival (September 28-29, 2013) held here at JANM and organized by Chado. Exhibitors will offer tastings, talks, shows, and ceremonies. Tickets are on sale ($15) at teafestivalla.com, with proceeds benefiting JANM and its mission. Come savor the best of LA – at the “Best Museum Café” and at the Japanese American National Museum. Calling all JANM Member kids! The very fun Natsumatsuri Family Festival is right around the corner—Saturday, August 10, 11 am – 5 pm. The National Museum welcomes ALL children to participate in free crafts and cultural activities—but there’s a special call out to Members! To reward our members for supporting the National Museum, we will have “Member fast pass” lines for such popular activities as yukata dress-up, tote bag screen printing, and airbrush kid tattoos, not to mention a limited number of reserved-seating for the Japanese Mariachi and LA Matsuri Taiko performances. The Japanese American National Museum is a community-based, cultural institution open for ALL people to learn about the stories of Japanese America. At JANM, we realize that our members and donors make an investment for EVERYONE and when we can, we give back a little extra to those supporters who help realize our mission and programs. Thank you for your continued support and we’ll see you at Natsumatsuri! Did you honor a special child (or children) in your life this year? If you did it with the gift of a permanent engraving in the Plaza of the Japanese American National Museum, then your invitation has already been sent for our Saturday, August 10, 2013 Courtyard Kids luncheon. This luncheon is invitation-only and will be a fun and refreshing time to celebrate some of our youngest supporters. RSVP’s are due by Thursday, August 1. Please contact Gina Nieto (gnieto@janm.org or 213.830.5669) so that we may prepare food, goodie bags, and reserved tote bags (to be screen printed by your child later that day). 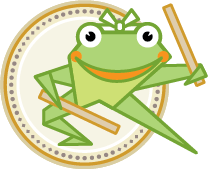 Even if your family can’t make the lunch but would like to attend Natsumatsuri—and take advantage of the member fast pass lines and reserved seating—please let Gina know and we will set aside a goodie bag and tote bag. Enter the fantastic world of artist, illustrator, animator, and toy designer Gary Baseman in his first major museum exhibition of his life and work! Baseman’s vinyl figurines have inspired countless other contemporary and anime artists, spawning a diverse international genre from the United States, Japan, and around the globe. This exhibition at the Skirball Cultural Center is presented in a creative gallery setting evoking Baseman’s childhood home, replete with family snapshots and furnishings. You may remember Gary Baseman as one of our featured artists from our 2008 exhibition Giant Robot Biennial: 50 Issues. Re-visit his world with this special, limited-time offer. Present your active JANM Membership card at the Skirball admission desk and enjoy 50% off admission to view Gary Baseman: The Door Is Always Open. Offer valid for up to four people per membership for walk-up admission only, now through August 11, 2013. Not valid with other discounts. A tradition started years ago, this year’s JA Community Night has grown to become a larger community event with the involvement of JANM and other local Japanese American nonprofit organizations. It’s a great night to be in Chavez Ravine, watch the Dodgers versus the Rockies, get a little JA culture, and be with friends. It’s all topped off with a post-game fireworks show. This year’s ticket sales benefit a variety of JA organizations. Choose JANM when purchasing! Tickets are first-come, first-served. Go to www.goforbroke.org/dodgers.asp to buy your tickets before June 24 – to ensure receipt of your tickets in a timely way! Questions? Contact Charlien Church at cchurch@janm.org (213.830.5676) or Alison Wong at awong@janm.org (213.830.5657) in JANM Membership.